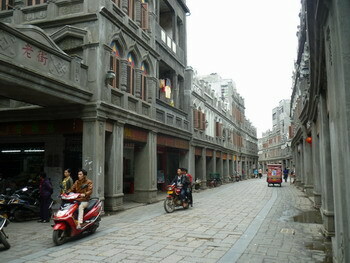 The most number of Hainanese who emigrated to Southeast Asia hailed from Wenchang County in Hainan. There was a basis for such claim. 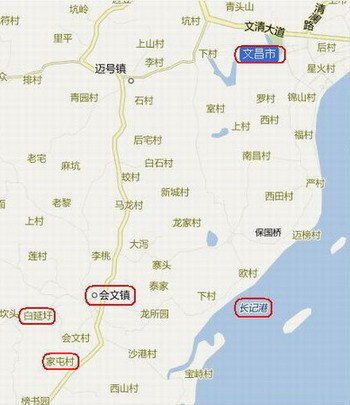 One of the facts was there were two ports of call in Hainan that facilitated the travel by sea to Southeast Asia: one was Port Qinglan in Wenchang and the other was Port Puqian in Haikou. These two ports played a significant role during those days. 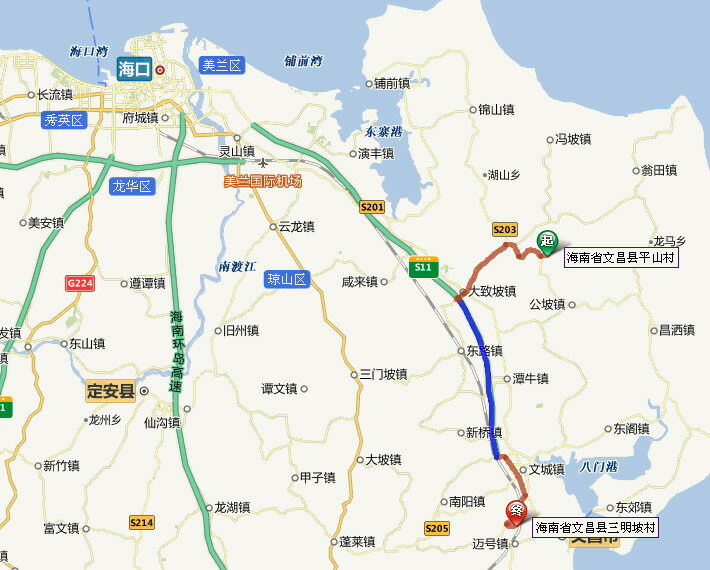 The journey from Baiyan to Port Puqian is about 90 km and to Port Qinglan about 20 km. 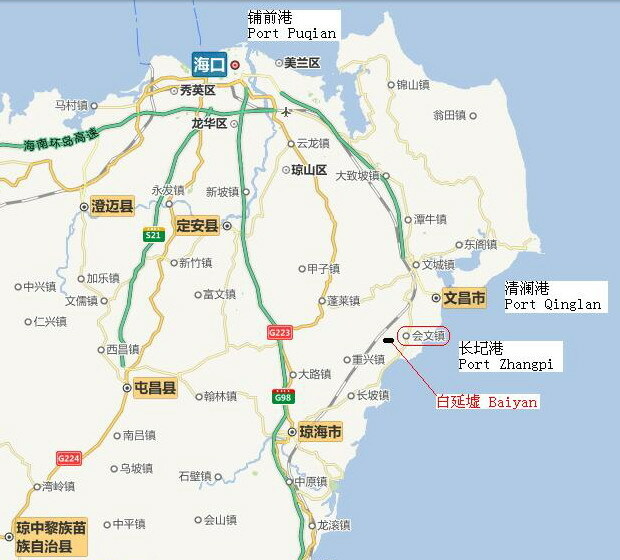 Both ports could be reached by road or by sea via Port Zhangpi, located about 6 km to the west of Baiyan. There were two ports in Hainan which facilitated the travel by junks (ancient Chinese sailing vessels) between Hainan and Singapore and Penang: one was Port Puqian, near Haikou and the other was Port Qinglan, near Wenchang. Hong Kong served as transit port for those travelling by steam ships from the 1900s. 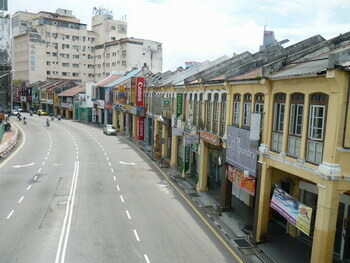 Right: This is the busiest road in the 1960s - the Penang Road. This is the typical Southeast Asian Chinese business centre; the building structure consists of two storey link houses built along both sides of the road. The ground floor is for business and the top floor for the owner's family to stay.